Your home is your haven and reflection of your life—your memorable experiences for family and friends—and the place you most cherish. 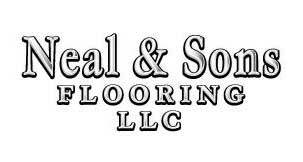 Neal & Sons Flooring is committed to helping you achieve your dream of home and express your unique style. Whether you’re furnishing an entire room or simply adding an accent piece for visual flair, Neal & Sons Flooring has something to suit every room, every taste and every budget. From classic to contemporary—and everything in between—you’ll find furniture you’re looking for at a price that’s just as appealing. Our promise to you—and one we’ve kept for over 13 years to our customers—is to provide the ultimate shopping experience from our first meeting through years of cherished use in your home. We are passionate about serving you with the highest standards of excellence with knowledgeable sales professionals, friendly and polite delivery teams and dedicated customer care associates to answer questions and schedule delivery and service visits. All products are special ordered. All Sales are final. Of course we offer everything that Ashley carries. Questions please feel free to call.